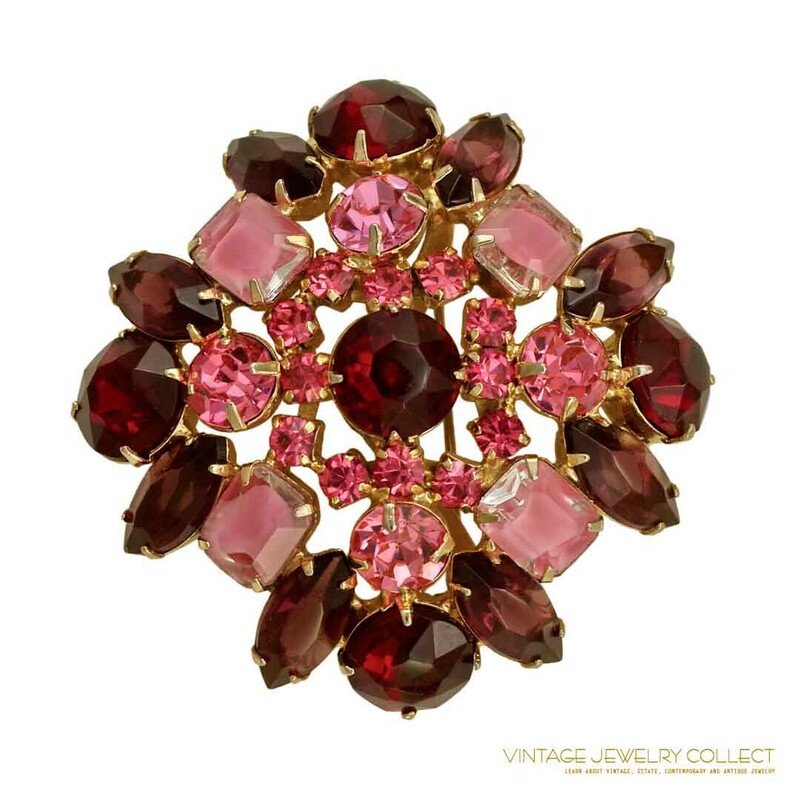 Description: Description: Juliana (Deizza & Elster) Brooch Set Siam Red and Pink. 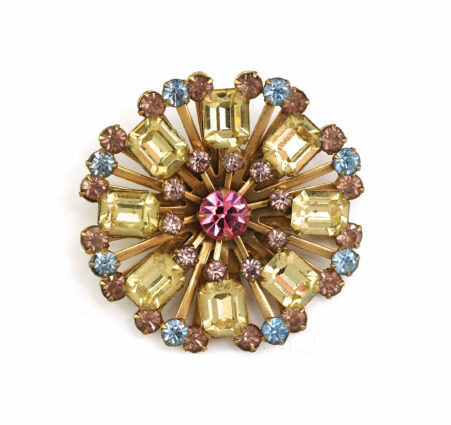 Up for your consideration is this fabulous Juliana D & E brooch and earring set. The set is a splendid mix of colored stones in an array of colors including: siam red, rose pink, purple, magenta. Accenting the piece are pink givré stones. The set is in near mint condition/never worn and was originally part of the “Three Sisters Collection.” Although being sold as a set, upon close examination, I’m noticing that the earrings and brooch have a slightly different color palettes. After having this set for nearly 10 years, this is the first time I’ve noticed this. Nonetheless, it’s fabulous.